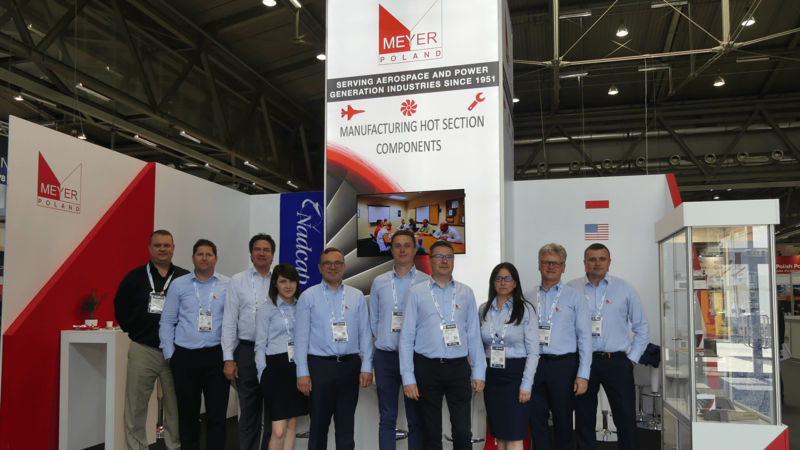 Meyer Tool Poland participated in the Electrify Europe exhibition, which took place in Vienna, Austria from June 19th to June 22nd 2018. Electrify Europe is the world’s first event dedicated to the convergence underway between the power generation & transmission / distribution sectors. Meyer’s booth featured experienced Meyer Tool personnel, demonstration parts, brochures, and some giveaways. The event provided us with three action-packed days concerning the latest technologies and solutions. The show gave us a tremendous networking opportunity to meet with existing customers, buyers, suppliers, and decision makers. We believe that our attendance at Electrify Europe will bring positive, growth oriented results for our business. Special thanks to Majk Kusanic for organizing this event for Meyer Tool personnel. He was instrumental in designing and furnishing our booth and supporting the team during the exhibition. Thank you also to Chris Urban and Scott Hudson, both of whom represented Meyer Tool with us at the event. They always do such a tremendous job in making us feel like a part of the Meyer Tool family. A BIG THANK YOU is necessary for the Meyer Tool Poland Team: Sławek Zdyb, Marcin Marek, Piotr Szczepański, Waldek Klimek, Michał Sękowski, Monika Mosicka and Renata Mocny. And we certainly want to thank all of the visitors to our booth. We really enjoyed spending time with old friends and meeting some new ones as well. Hope to see you next year!